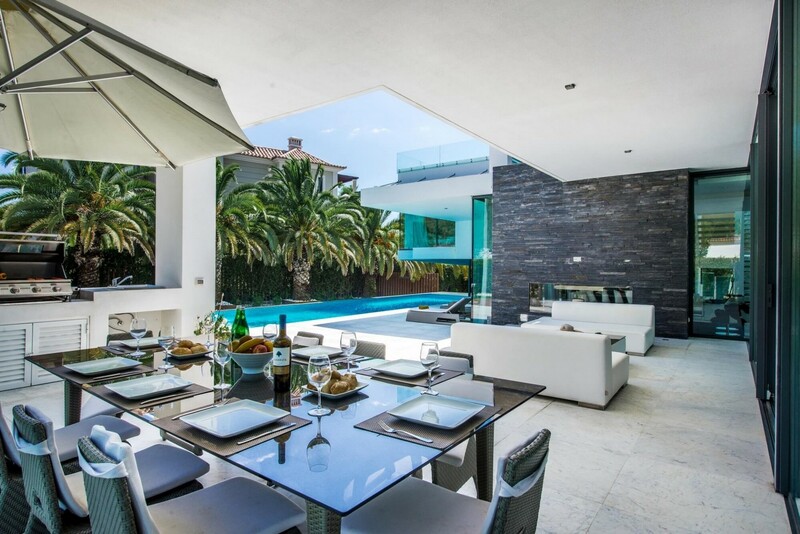 Azure Holidays are very excited to offer you the chance to rent this exceptional 4 bed VIP villa in Quinta Verde. 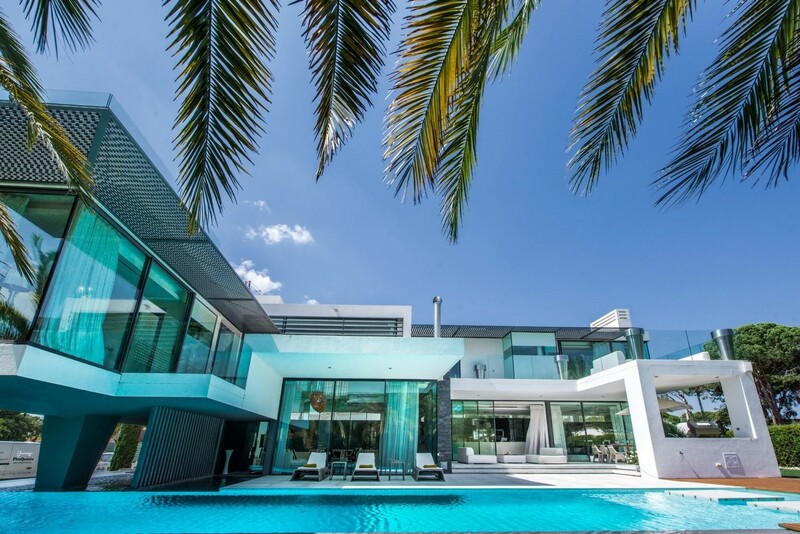 This modern and luxury villa boasts a great many features. 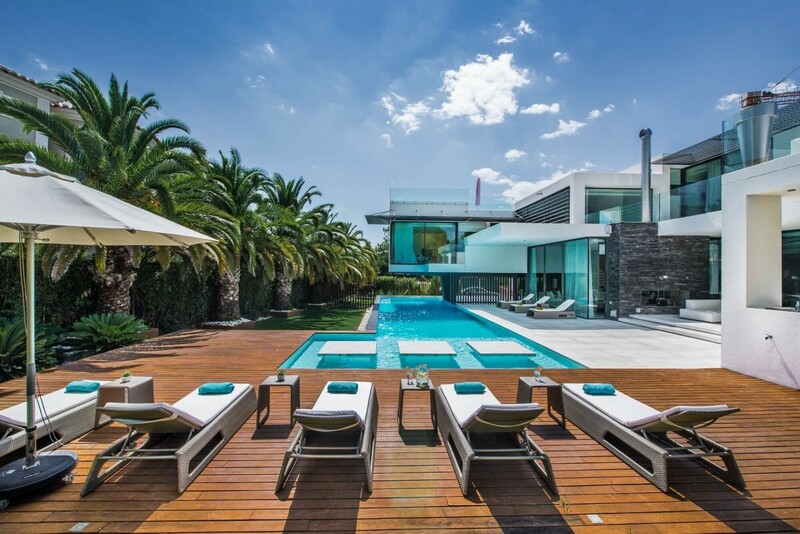 Live life like celebrity in this villa. 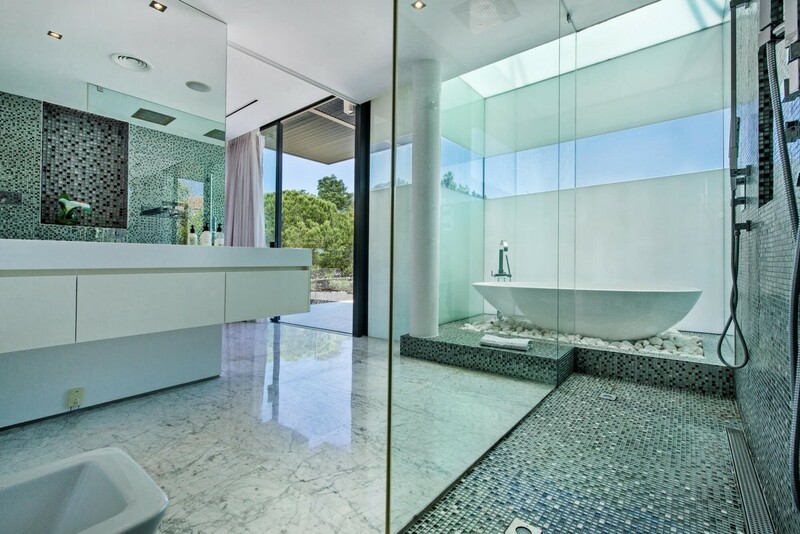 Ask Azure "This jaw dropping villa is stunning. 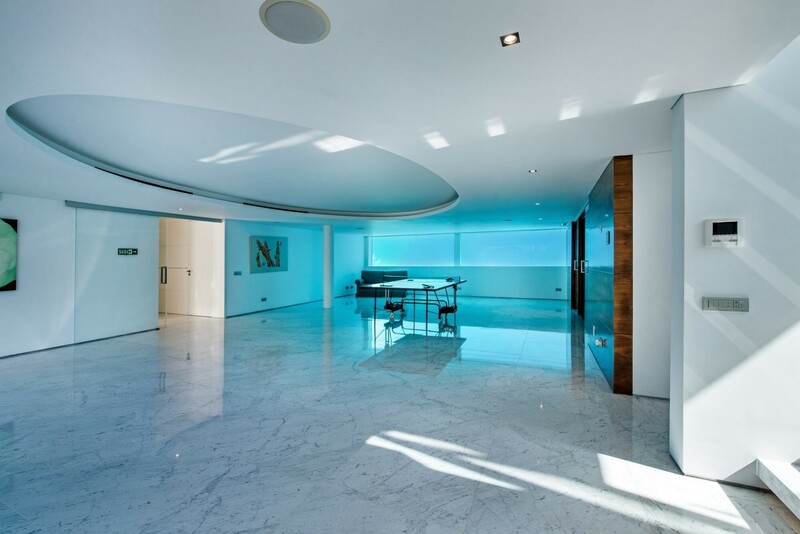 We love the basement games room with its underwater window allowing you spy on the pool. And the interior is straight out of an ideal homes magazine. 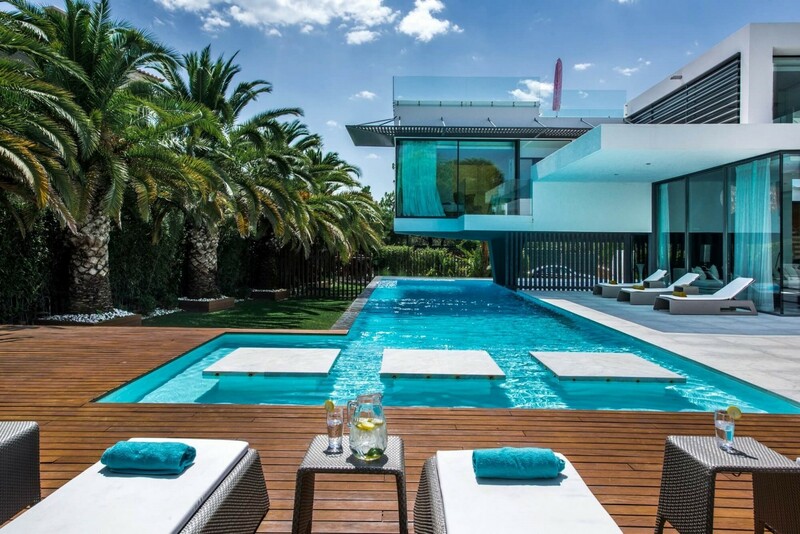 A villa fit for a royalty." 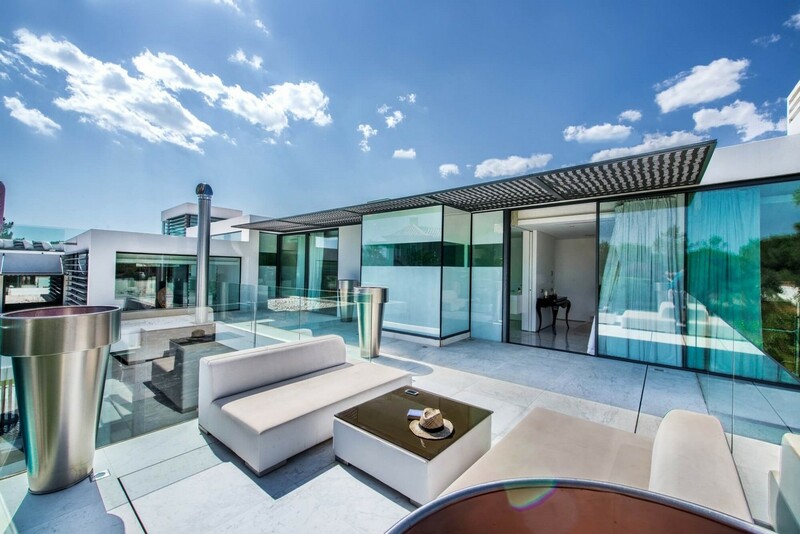 As you arrive at this villa you will be struck by the straight lines and modern architecture. 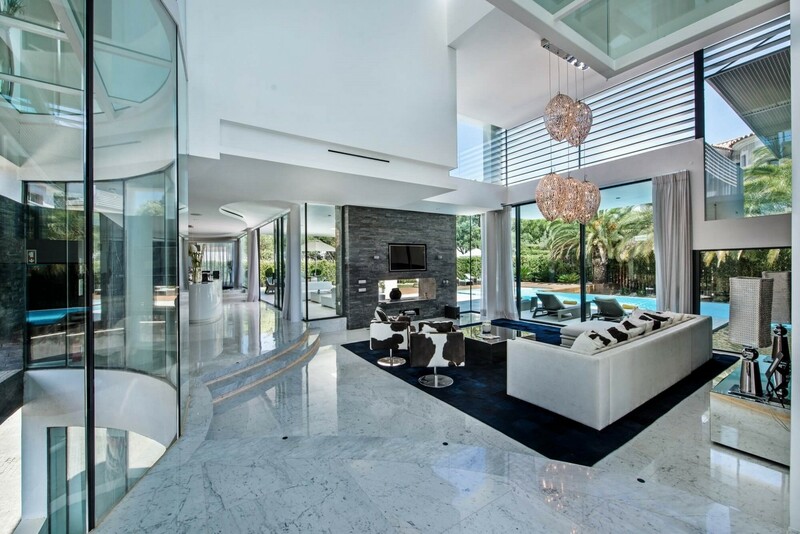 The white walls and glass combine with stone and wood to make this villa a stunning mixture of natural and contemporary creating a feast for all the senses. The villa is set in a gated community offering privacy and security and there is off road parking and basement garage. 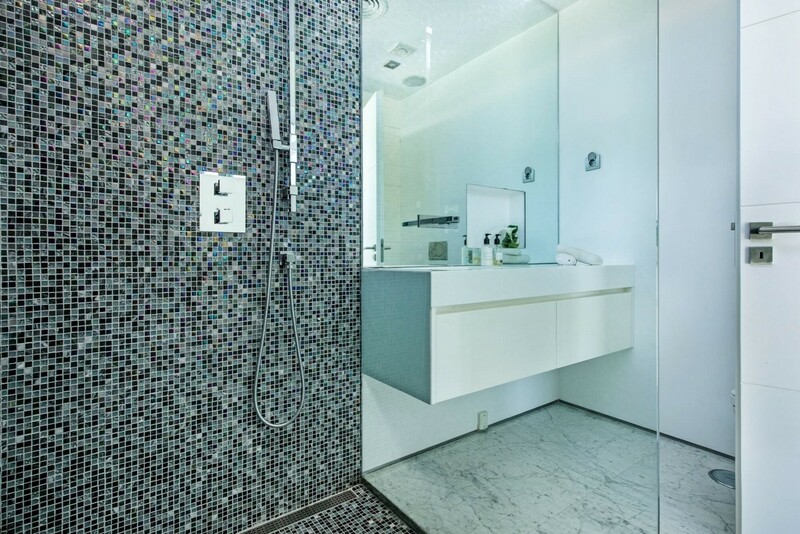 Luxury appears in every area of this property with clean lines and attention to detail being paid to even the small details. The rear of the property has a large wooden decking area with plenty of luxurious sun loungers to rest and relax on. 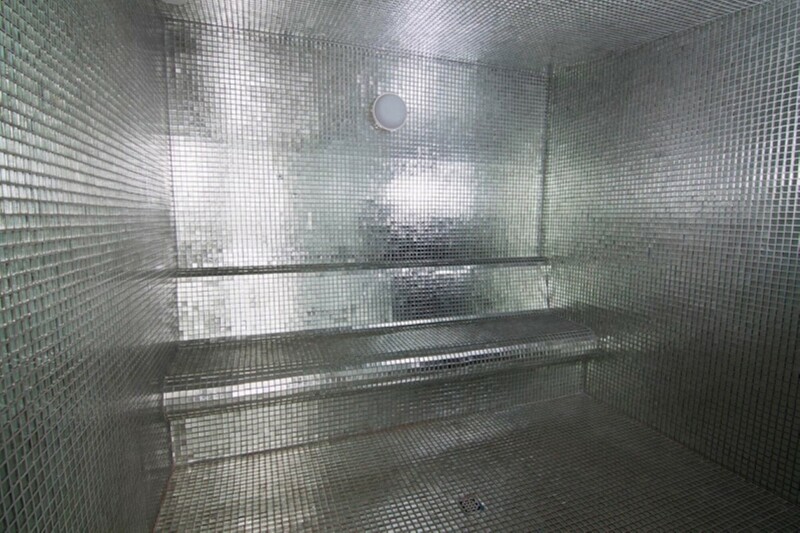 You could be forgiven for thinking you were staying at a world class hotel and spa. The rear garden has plenty of green space too, giving you yet more options for relaxing and enjoy the wonderful Portuguese weather. 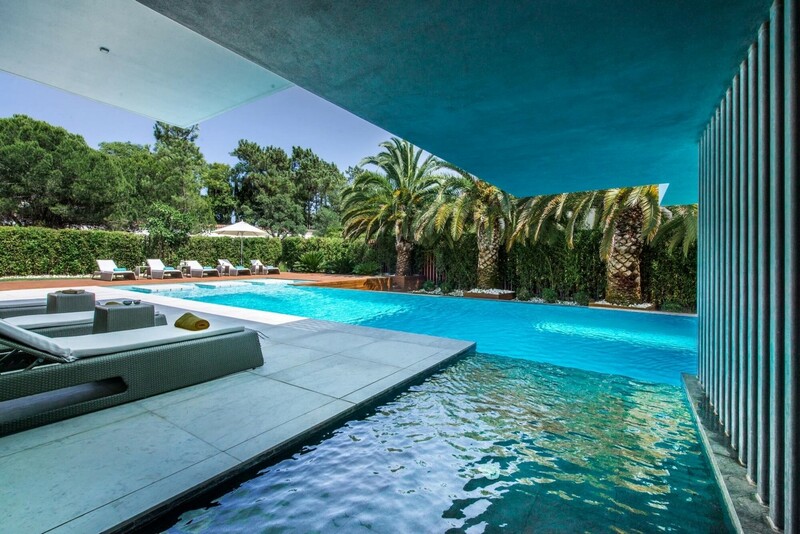 The pool is spacious and luxurious, in keeping with the rest of the villa, and is a great place to cool off and enjoy some fun in the sun. At one end of the pool there are three square tables providing you with somewhere to rest your drink or even your meal if you want to experience lunch in the pool. This shallower section then has steps leading down into the deeper area of the pool. 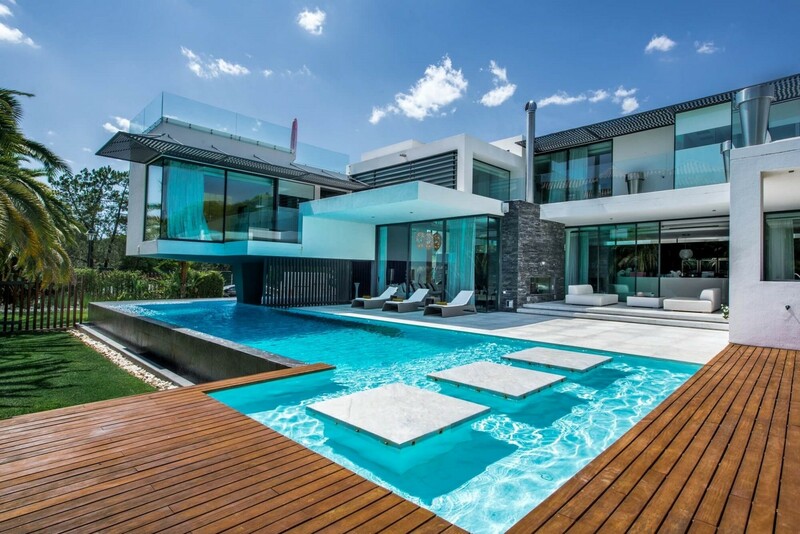 The pool is an infinity style and benefits from an underwater window which means that you can enjoy a view into the basement rooms. Much fun to be had in this pool we are sure. There is a raised terrace area with comfortable garden furniture and a BBQ area with alfresco dining that is a wonderful place to enjoy a sociable meal with your guests. 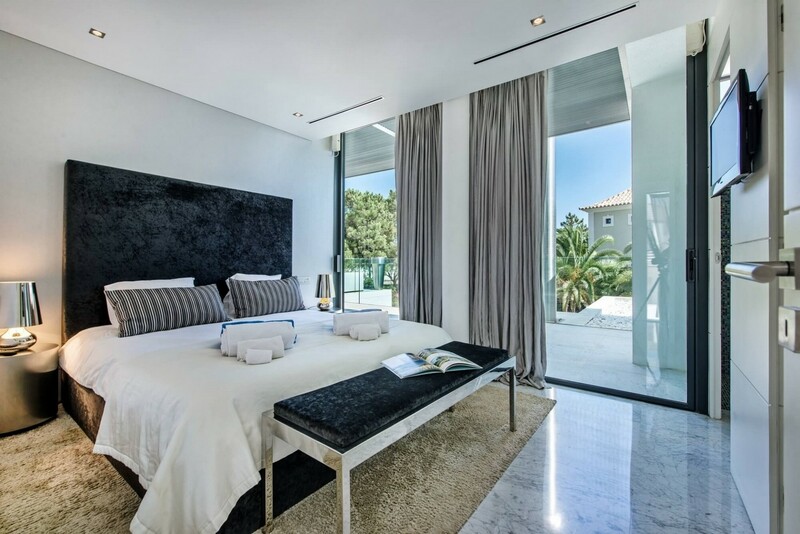 As well as a balcony adjacent to the master bedroom there is a gorgeous roof terrace with a Jacuzzi offering a wonderful space for relaxing and enjoying the lovely views in style. 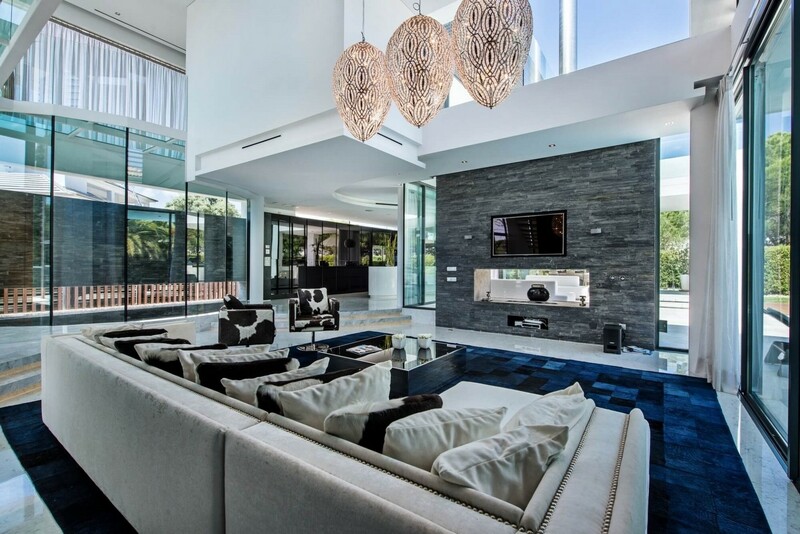 The open plan living style of the ground floor is stunning, a large dark carpet contrasts with the white walls and the high ceilings all combine to give a feeling of luxury style. The decorative feature of the cow patterned chairs adds a quirky fun element to this room and the lovely light fixtures add another luxurious touch. 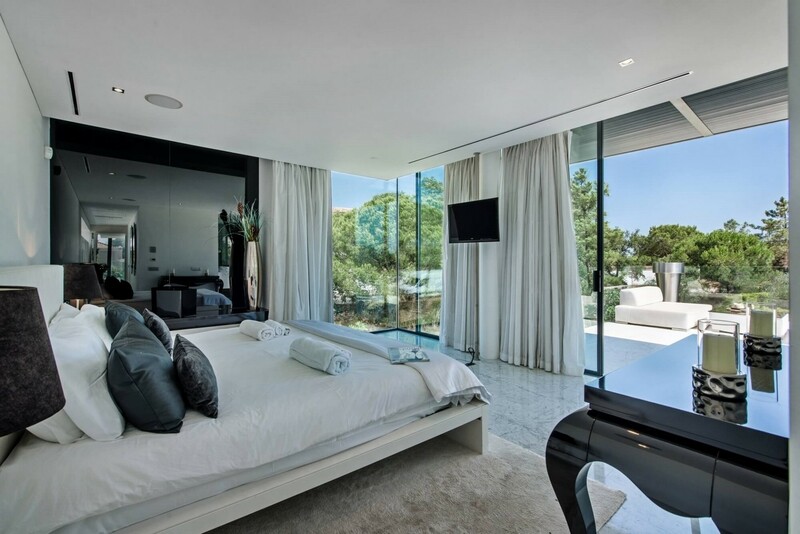 The large glass windows make this room a wonderful light and bright space to relax and enjoy and there is a flat screen wall mounted TV for your entertainment. 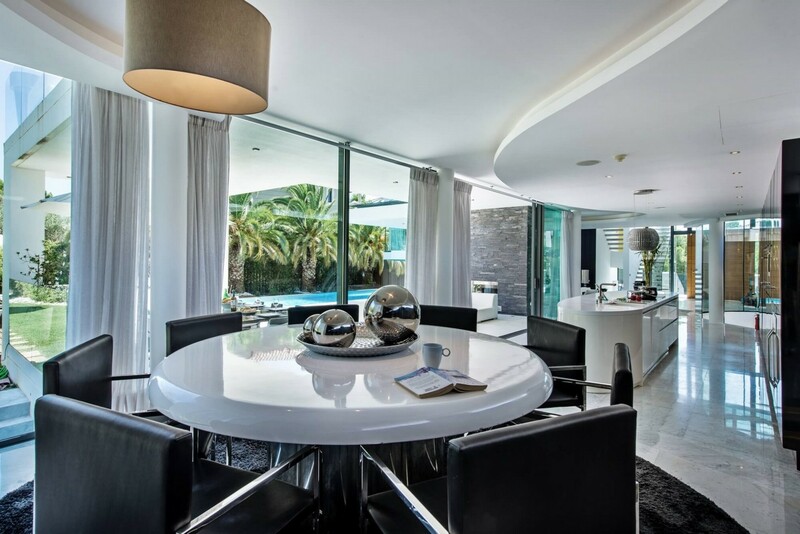 Through into the stunning dining room and you discover another lovely space with floor to ceiling glass windows that offer a view out onto the terrace and pool areas. There is seating for 8 people in this luxurious circular room and it is also adjacent to the kitchen. 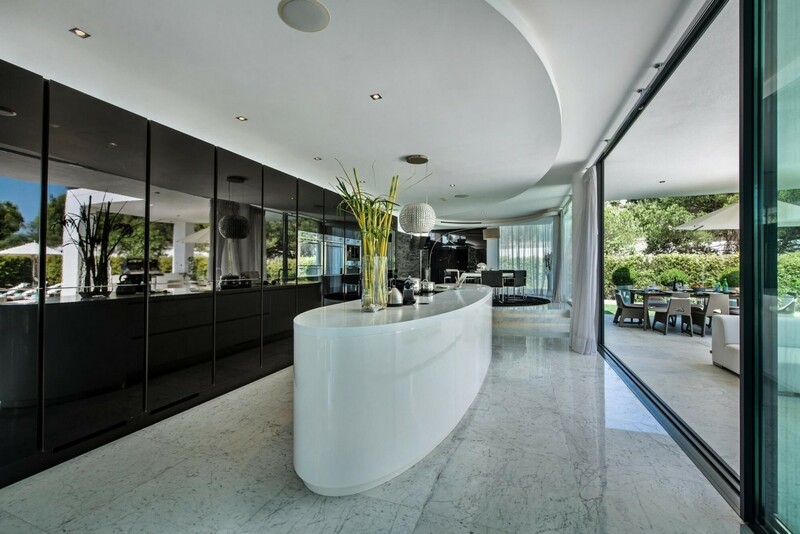 The kitchen itself is full of designer style and charisma. 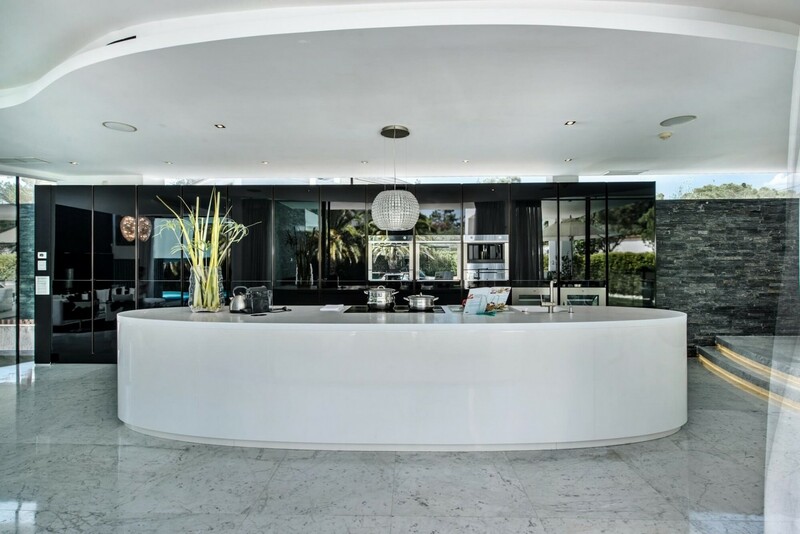 With a central island and dark units giving you a great place for the budding chef amongst you to create some culinary masterpieces they will be sure to have fun amongst the SMEG and AEG appliances. 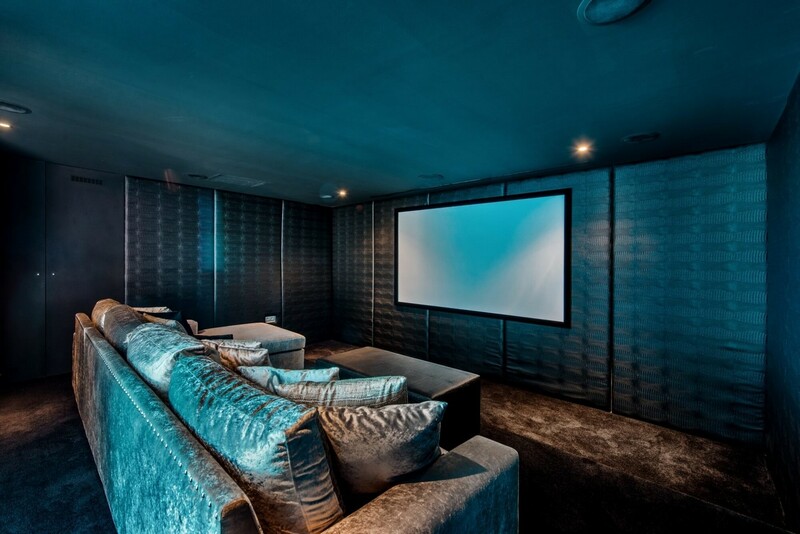 The basement floor offers more opportunity for fun and relaxation with a wonderful cinema and games room, as well as a spa room. The games room also has the window that allows you to look out under the pool. The four bedrooms are located on the first floor and are of an extremely high quality with luxury fittings and furnishings throughout. 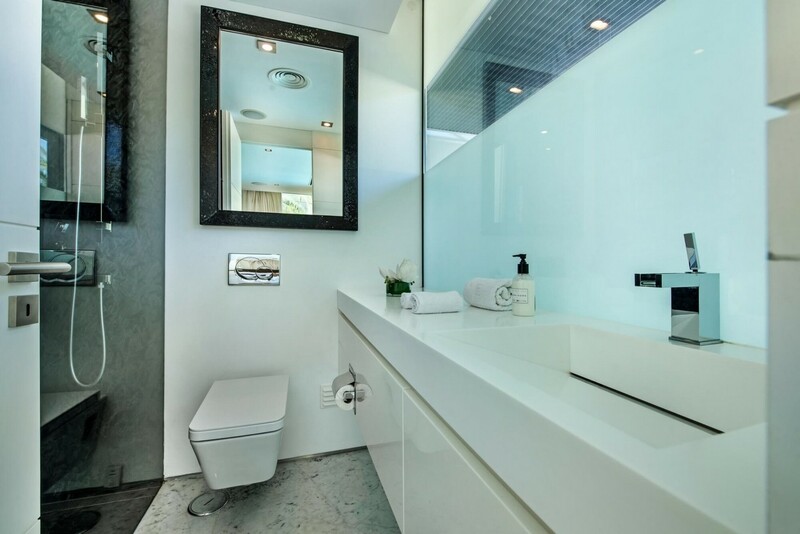 All four rooms have stunning en suite bathrooms, fitted wardrobes, a television and overlook the garden and pool. 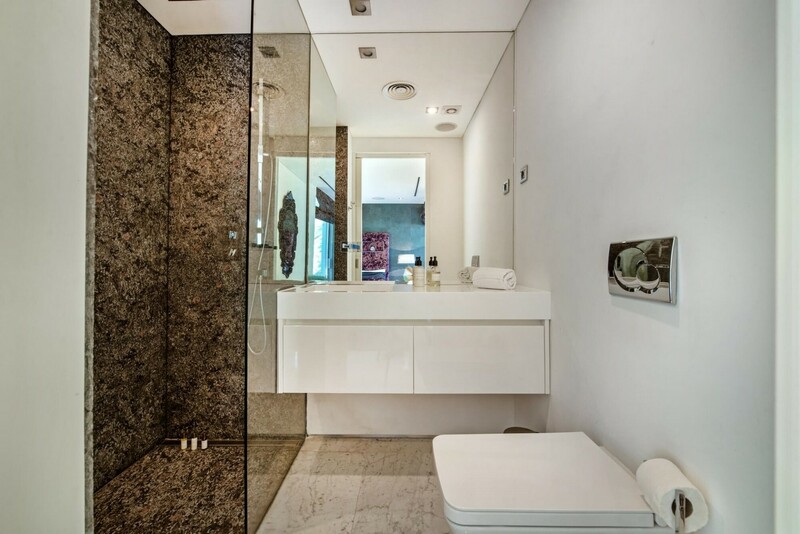 The bathrooms continue the luxury theme and give you a beautiful space to pamper yourself. 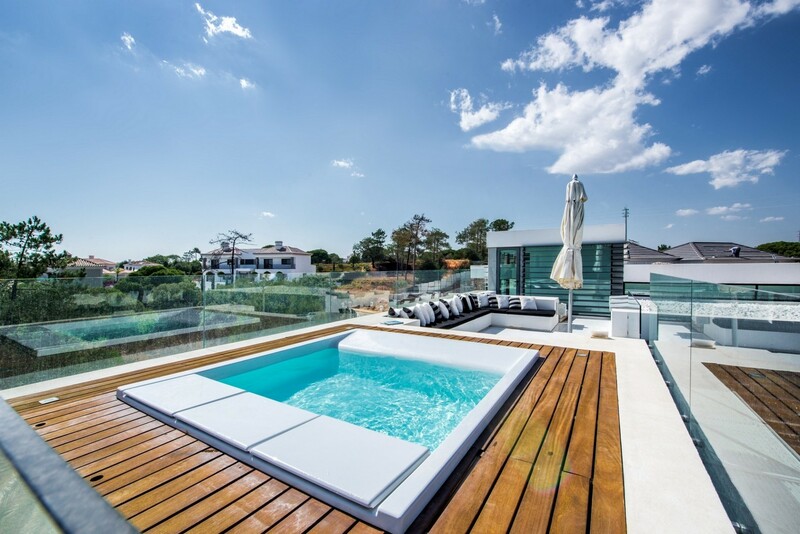 This villa is stunning in every way and comes highly recommended. 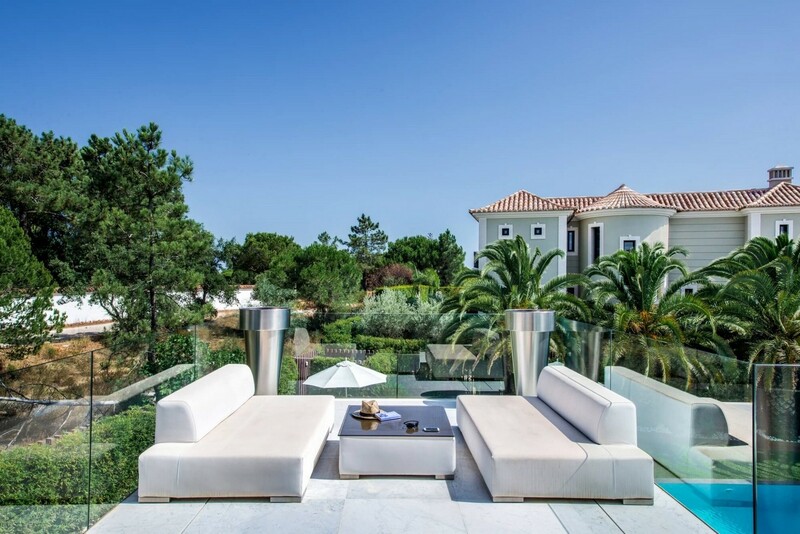 The Quinta Verde development is luxurious and prestigious offering a great location allowing for easy access to all the highlights of the Algarve. 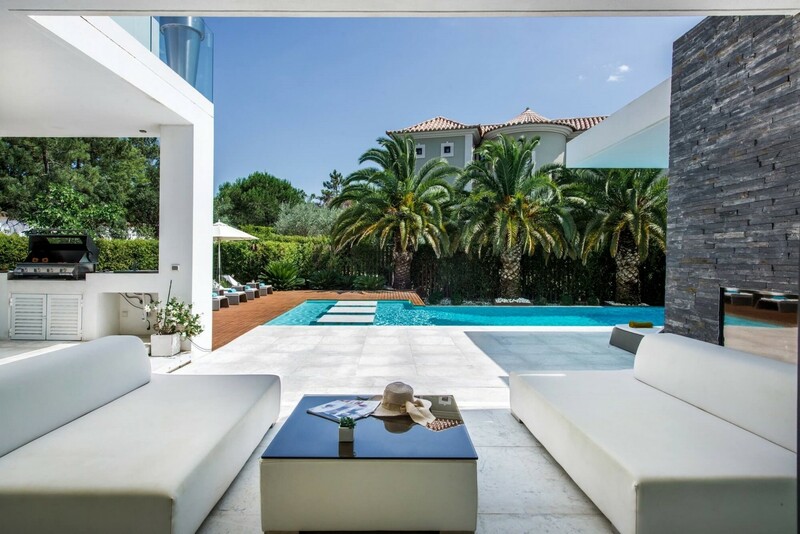 Quinta do Lago is within a short distance, and at the heart of the Quinta Verde development is a reception area with concierge facilities. 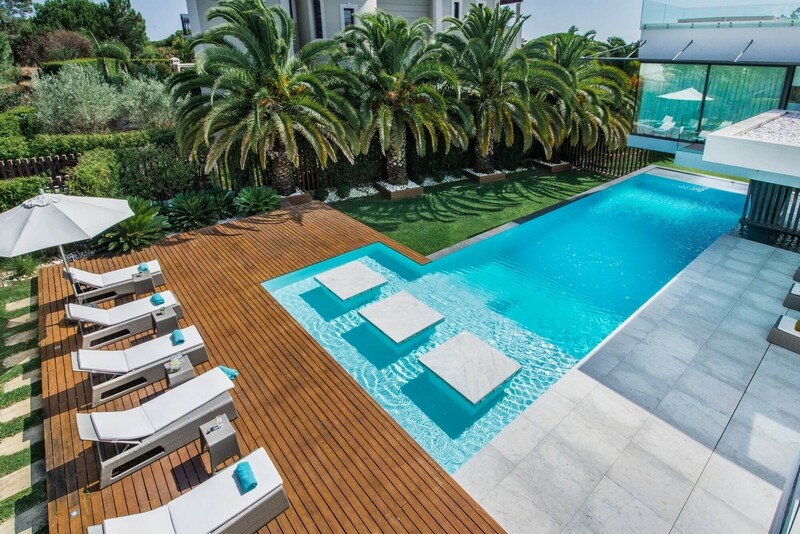 All located on a secure gated environment with 24 hour CCTV, Quinta Verde is a lovely location to base yourself to explore the great amenities of the Algarve. For sports lovers there is the opportunity to indulge in golf, tennis and water sports. And for the beach lovers there are miles after miles of beautiful beaches to explore and discover. 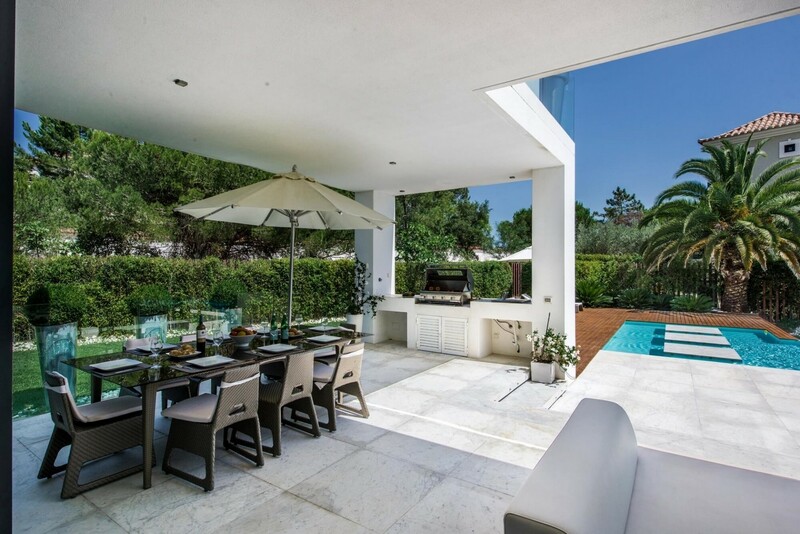 You can read more about Quinta Verde in our guide here. 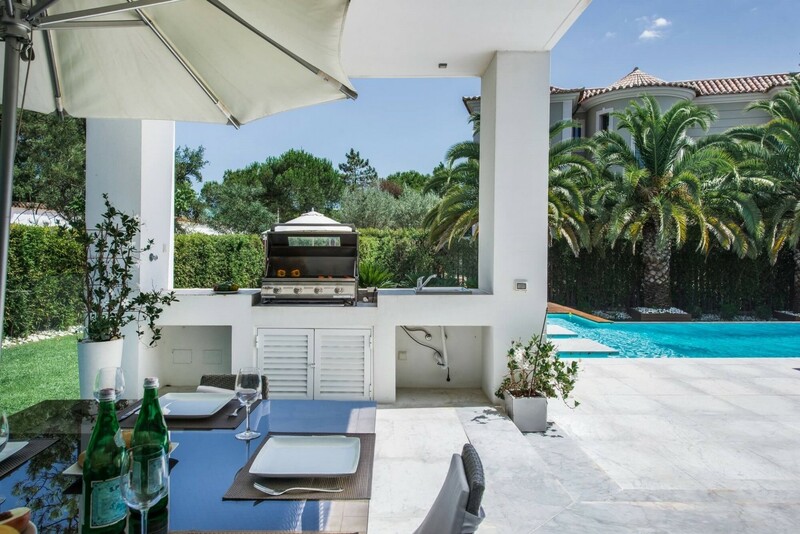 If you would like more information about this villa or the local area or would like to book, please feel free to call us, we are happy to help.